The Metro station, located one stop east of Berri-UQAM, is undergoing some renovations and will be closed until June. 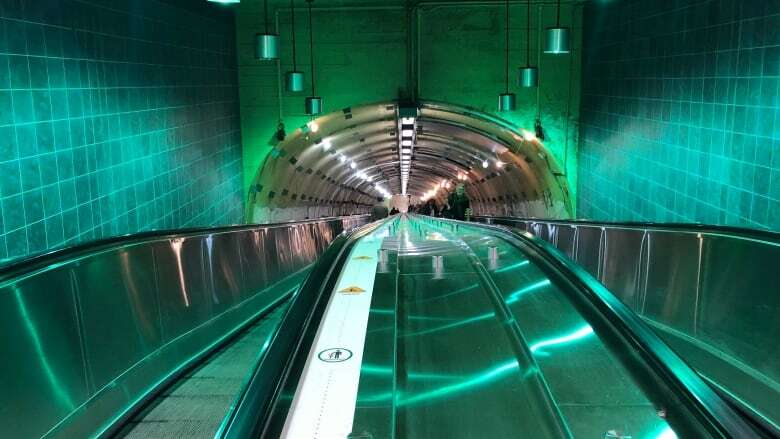 As of Monday, the iconic moving sidewalk of Beaudry Metro will grind to a halt for the next eight months. 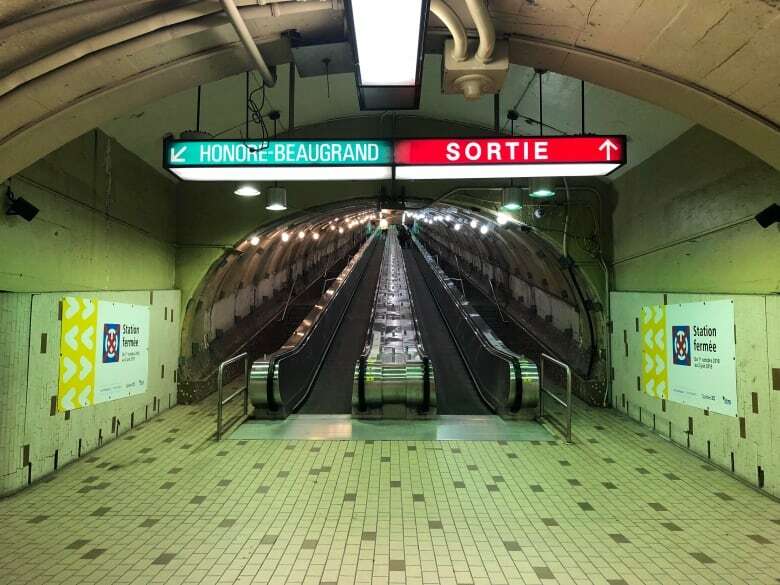 The STM will set up a shuttle to run between the neighbouring Metro stations, Berri-UQAM and Papineau until the station reopens. It's true the station has seen better days. The walls are missing slabs of concrete, the ceiling is under construction and its stalactites are exposed. The walls are lined with industrial-quality lanterns to light the tunnel. At night, rats emerge from slats along the floor, evoking the Orwellian nightmare depicted in dystopian novel 1984. But those who take the Green line to Beaudry will feel its loss. The transit authority released a laundry list of renovations that will be undertaken during that time. The renovated station will have "design coherent with original architecture" but will be brighter and more welcoming. It will have improved ventilation, an "increased sense of safety," and improved layout in public traffic areas. In order to give the station a fresh look, the walls and floors will be revamped. And good news for those who love Beaudry's original design — the moving sidewalk is staying. It's rare for a Metro station to be closed outright. The last was Beaubien Metro in 2015. In May, STM spokesperson Amélie Régis told CBC News that the decision was made to close the station to get the work done faster. "If we had decided to keep this station open, the work would have lasted three years," she said. Beaudry station has humble roots. When the Green line was conceived, it was not part of the plan. But the best things in life are surprises, or at least opportunities born of convenience, and when plans for a station on Amherst Street were scrapped, decision-makers decided there needed to a station between Papineau and Berri. And so, engineers looked three blocks east of Amherst, and saw an opportunity to build a station at the corner of Beaudry and Sainte-Catherine Street. Construction started in 1963. According to the STM, by then, excavators were already working to build the Green line tunnel. 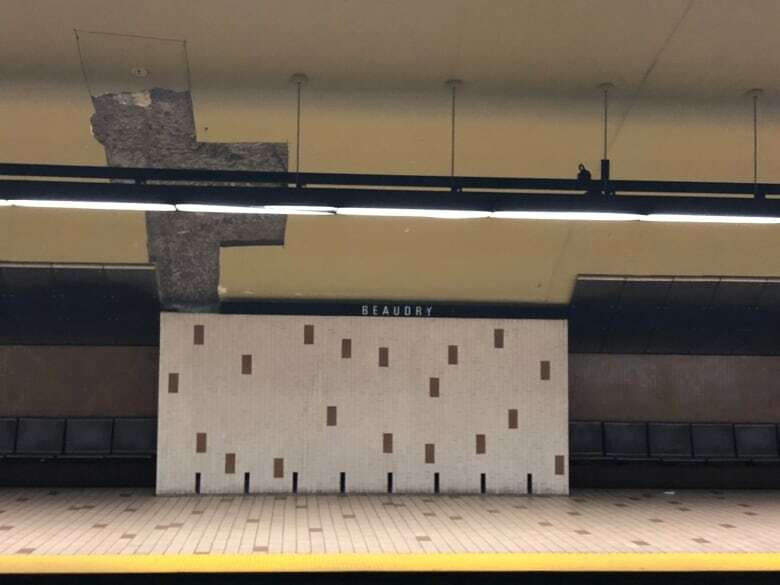 "It was decided that the access ramp used by the trucks transporting the excavated rock would be used to create the access to the new station," the STM's website says. The incline was too low for conventional escalators — and thus, the famous and unique moving sidewalk was created.